In loving memory of Janice Lorraine (Casciolini) Dorsey, who passed away on February 11, 2019. 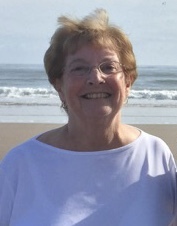 Jan, originally from Framingham MA, lived with her husband and family in Needham, MA for over 50 years. Jan is survived by her husband Andrew, and her children Laura and her husband Daniel Walsh of Needham, Pamela and her husband Daniel McGovern of Jacksonville, NC and Drew and his wife Jean Dorsey of Winchendon. She is also survived by her wonderful band of nine grandchildren, DJ, Kelsey and Tim Walsh, Heather, Matthew and Alison McGovern, and Drue, Declan and Maeve Dorsey. “Mimi” held these grandchildren dear to her heart, and was an ever present source of love and support for them. She was the sister of the late Marion Clark whom she loved and admired. Jan enjoyed working for the Town of Needham for 17 years, serving the people of Needham through her work at the Needham Park and Recreation Commission and the Needham Youth Commission. She served on the Board of Friends of the Needham Board of Health, Traveling Meals Program and the Friends of the Center at the Heights. Jan’s family would like to take this opportunity to thank all of the friends she loved and worked with in these organizations, and those citizens of Needham she met along the way, who gave her so many cherished memories. Visitation will be held in the Eaton Funeral Home, 1351 Highland Ave, Needham, on Sunday, Feb. 17 from 4-7pm. A Memorial Mass will be held in St. Joseph Church, 1362 Highland Ave, Needham on Monday, Feb. 18 at 10:00 am. In lieu of flowers, the Dorsey family encourages you to make contributions in her memory to the Friends of The Center at the Heights, 300 Hillside Ave. Needham, MA 02494 or the Juvenile Diabetes Research Foundation at 60 Walnut St. Wellesley Hills, MA 02481. These two organizations meant so much to Jan and her family throughout the years.